Cal Comunicaciones/Discos Eternos present a reissue of Los Destellos' En Orbita, originally released in 1969. This hundred-percent modern group has invaded the musical environment with many tropical versions that are received with great enthusiasm and applause by all audiences. With En Orbita, Los Destellos mix tropical music with the rhythm of guajiras, paseíto, and the boogaloo sabor, highlighting one of their greatest instrumental successes: "Para Elisa", an original theme by Beethoven, was included in Pedro Almodovar's film The Passenger Lovers. Cumbias with "Cucaracha", "Cumbia Del Desierto", and "Virgencita" continuing on a path that was captivating, experimental, and novel for the time. Silver vinyl version. 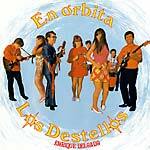 Cal Comunicaciones/Discos Eternos present a reissue of Los Destellos' En Orbita, originally released in 1969. This hundred-percent modern group has invaded the musical environment with many tropical versions that are received with great enthusiasm and applause by all audiences. With En Orbita, Los Destellos mix tropical music with the rhythm of guajiras, paseíto, and the boogaloo sabor, highlighting one of their greatest instrumental successes: "Para Elisa", an original theme by Beethoven, was included in Pedro Almodovar's film The Passenger Lovers. Cumbias with "Cucaracha", "Cumbia Del Desierto", and "Virgencita" continue on a path that was captivating, experimental, and novel for the time. Cal Comunicaciones/Discos Eternos present a reissue of Los Destellos' self-titled first album, originally released in 1968. 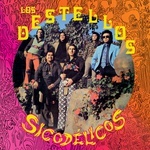 Los Destellos created and initiated what is known as Peruvian cumbia. The band mixes tropical music with rock and the use of electric instruments and drums, achieving successes like "El Avipon", "Guajira Sicodelica", or "La Ardillita" (years after recorded by Colombian groups). All cuts are instrumentals that are fused with guitars, heirs of psychedelic rock and native sounds of the Peruvian jungle. With this reissue, a valuable piece of musical archeology is recovered. This musical group was impeccably formed and directed by Enrique Delgado. So that everyone has the opportunity to enjoy, dance, and rejoice with Los Destellos, the incomparable joy of this set has twelve great and momentous dancing rhythms. Very tasty cumbias, danceable melodies, recorded with the highest technique and full of flavor. Los Destellos managed to capture with their self-titled album, true sonic hymns that stand out for their freshness and powerful guitars, with different tropical rhythms like guaracha, guajira, descarga, bolero, and cumbia achieving an untiring source of originality. The authentic ambassadors of the Peruvian cumbia. Gold colored vinyl version. 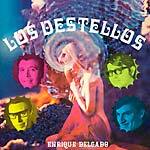 Cal Comunicaciones/Discos Eternos present a reissue of Los Destellos' self-titled first album, originally released in 1968. Los Destellos created and initiated what is known as Peruvian cumbia. The band mixes tropical music with rock and the use of electric instruments and drums, achieving successes like "El Avipon", "Guajira Sicodelica", or "La Ardillita" (years after recorded by Colombian groups). All cuts are instrumentals that are fused with guitars, heirs of psychedelic rock and native sounds of the Peruvian jungle. With this reissue, a valuable piece of musical archeology is recovered. This musical group was impeccably formed and directed by Enrique Delgado. So that everyone has the opportunity to enjoy, dance, and rejoice with Los Destellos, the incomparable joy of this set has twelve great and momentous dancing rhythms. Very tasty cumbias, danceable melodies, recorded with the highest technique and full of flavor. Los Destellos managed to capture with their self-titled album, true sonic hymns that stand out for their freshness and powerful guitars, with different tropical rhythms like guaracha, guajira, descarga, bolero, and cumbia achieving an untiring source of originality. The authentic ambassadors of the Peruvian cumbia.